This beautiful traditional writing desk will be a lovely addition to your living Timeless and elegant bombe chest with four drawers, carved legs, paw feet, pierced carved apron finished in a rich Virginia brown. A chest with doors, drawers and shelves can provide functionality, closed storage and a beautiful accent to any room in your home. A eclectic array of traditional, cottage, country, tropical, contemporary or casual styled chests are featured. 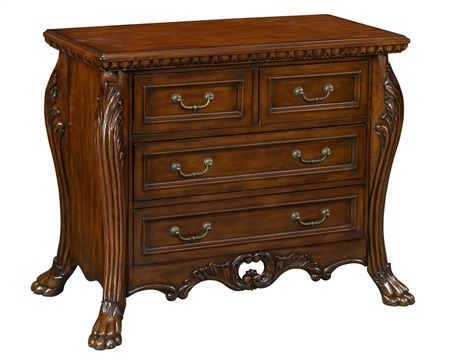 Introduce one of these finely crafted, ornately detailed and versatile chests to your home decor today!